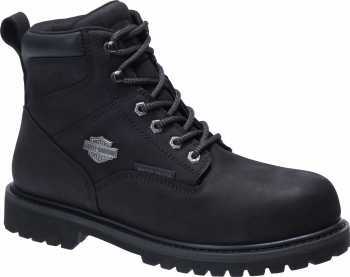 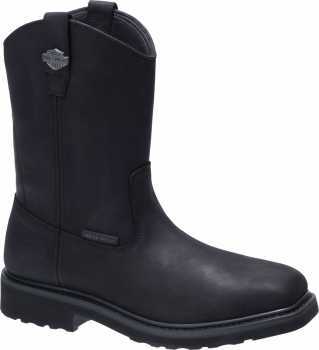 Stay safe on the job site with Harley-Davidson's men's safety toe work boots and shoes. 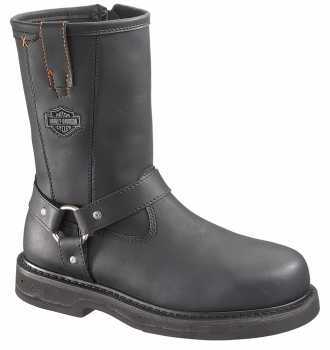 All H-D safety toe footwear meets ASTM standard F2413-11 M I/75 C/75 to keep you protected from falling or rolling objects. 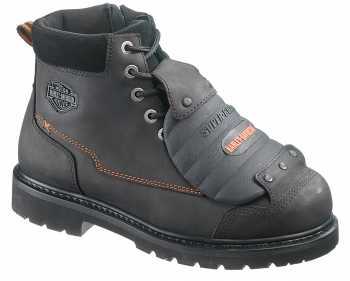 Choose from lightweight composite toe styles or the industry standard steel toe footwear. 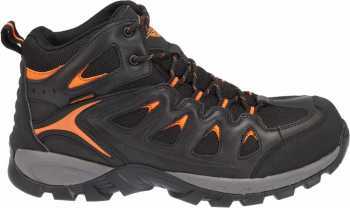 Find the right pair of safety toe boots or shoes for your needs from our full line built with technologies and features like uncompromised protection, shock absorption, ASTM compliant steel toe, durability, waterproofing, slip resistance, and metatarsal guards to not only keep you safe but comfortable on every job site.